For 5,000 years we have been taught that our physical reality is massive and really hard to change. That viewpoint is limited, however, and is the result of knowledge gained strictly from the limitation of the five bodily senses. In fact, most of the "action" in the physical universe happens on a much subtler level. Quantum mechanics and computer science have taught us that physical objects can be viewed as vibrational information systems. And when we understand that, our solid and immovable reality becomes something much lighter and amenable to positive change. An Information System is a coherent collection of data that can be stored, processed, and retrieved, to supply useful content to human beings. Most information these days is stored in databases, which are organized sets of data that can rapidly be input, calculated upon, and output. Information systems are used in business, to help process customer orders, organize inventory, calculate payroll, etc. Banks and securities firms are completely dependent on information systems to store customer account records and to process financial transactions. Information systems are an integral part of modern life. But they are much more basic and fundamental even than that! The universe itself is an information system; more precisely, it is a vibrational information system. Science tells us that all physical objects, and energy, is made up of atoms. Atoms are composed of a tiny nucleus surrounded by an electron cloud. Electrons oscillate madly around the nucleus. The atom is 99% space, with electrons moving around in it. A vibration is essentially the periodic or aperiodic movement of something in space. Therefore, the atom is basically a little vibration. But it is also a unit of information! String theory tells us that the electrons, protons, and neutrons of the atom are themselves composed of tiny, vibrating filaments that physicists have named "strings." So the essence of matter and energy is vibration. For example, what information does this atom transmit? It says, "I am the element called hydrogen." 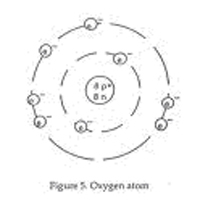 This atom says, "I am oxygen." These two units of vibrational information can combine to form probably the most important substance on earth: H2O (water). The Periodic Table of Elements contains the basic building blocks for all physical objects and energies in the material world; that is why they are called elements. The definition of element is "a fundamental, essential, or irreducible constituent of a composite entity," and it comes from the Latin word elementum, which means "first principle." All of these elements are units of vibrational information, and all physical objects are a combination of one or more of these basic elements. Therefore, the physical objects and energies that we see around us are actually vibrational information systems, just as the water molecule is an information system combining the two elements "hydrogen" and "oxygen." The important point here is that information systems are programmable! 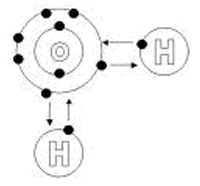 Why does the hydrogen atom combine with the oxygen atom? Because they have been programmed to do so! You can believe the materialists if you want, who say that the universe is simply a random collection of energies that "just happened" to come together in the incredibly complex forms we observe in nature. But the existence of the universe itself, with its elegant physical laws, and the planet earth, with its millions of species and ecosystems that work together harmoniously, is the most obvious argument that life, and the physical world, is NOT random. No, the information systems for physical processes exist above the physical level, but this is something that a materialist can never understand, unless he or she experiences an increase in awareness. When you take a step forward from the limited perception of the five physical senses, you begin to understand that the aggregations of physical matter, and the physical laws that allow them to interact, must be programmed from an information system, just as a computer program creates a multimedia presentation that can entertain and inform. Water is a programmed information system that creates something vital to all life on planet earth. You have probably heard of the work of the Japanese researcher who works with water, Dr. Masaru Emoto. Dr. Emoto performed experiments that showed how water crystals react to conscious intent. In other words, thought and intent re-programmed the physical structure of the water crystals. Again, to a materialist, such things are incomprehensible, and it is really funny to read the comments on his work from skeptics and other dead-heads who just don't get it! ALL physical collections of matter and energy react to conscious intent! Our world is programmable, and we are the programmers. The problem is, we have not yet recognized this. The reality we live in is, firstly, an interpreted reality. By that I mean that all perception is an interfacing of vibrations. The atom is a tiny little vibration, and all matter and energy is composed of atoms, and the receptor cells of the human body are atomic as well. So what we perceive as solid and real is nothing more than the interaction of vibrational information. For details on how this works, see my movie "The Vibrational Universe," at http://www.sunrise-production.org. If we look at the cells and organs of our bodies, and the universe around us, simply as collections of information, we can see how any human being can be a programmer of their life! Our bodies are information systems: coherent, and programmable, collections of vibration. The liver, for example, is programmed to eliminate waste; the heart is programmed to pump blood, the lungs to receive oxygen and release carbon dioxide, etc. The more you know about your body's information systems, the better you will be at programming it. The universe is vibrational and informational, because a vibration is a unit of information. The two things are interchangeable, just as matter and energy are interchangeable, as Einstein showed us. A vibration is dynamic, constantly changing, and evolving. When you program a computer, for example, you give it a set of instructions that cause it to do something. The instructions to the computer are little packets of vibration; electronic impulses. What the computer outputs are also little packets of vibration that you see on your monitor and through your speakers. When you change the computer program, what is displayed also changes. How do these vibrational information systems work? Well, we can get an idea by examining a hologram. In 1947 a Hungarian scientist, Dennis Gabor, developed the theory of holography, for which he won the Nobel Prize in 1971. A hologram is made by shining a beam of light directly onto a light-sensitive plate (the reference beam), and then combining it with another beam of light that is redirected from a series of mirrors onto the object (the object beam), and back to the recording plate. The two light beams create an interference pattern, which is then recorded on a light sensitive plate. The interference pattern is just a vibrational intermingling of two sets of waveforms. When light is shined onto the plate, a vivid, 3 dimensional object results. A hologram has the amazing property that even a tiny section of it contains all of the information for the entire hologram. In other words, the hologram has the entire information system for the complete image programmed into every piece of it. "Hologram" is just a fancy word that means "vibrational information system." If you are interested, you can look up the Holographic Principle. Introduced by physicist Gerardus t'Hooft in 1993, it states that the physics of any system can be described on the boundary of that system. In other words, the physics (the reality) of a 3 dimensional system can be described in two dimensions. So a holographic information system light-imprinted upon a flat, 2 dimensional plate can produce the 3 dimensional object perfectly. What if the universe itself is holographic? This is the question Michael Talbot asked in his famous book, "The Holographic Universe." If a tiny little flat, 2 dimensional light sensitive plate can produce a startlingly real 3 dimensional image, imagine what a spherical hologram that is 13.5 billion light years in diameter (the size of the universe) could do! My guidance tells me that such a gigantic spherical hologram would create a reality that is so persuasively real in every aspect, that it would essentially overwhelm the senses and appear to be the only possible reality. It would create a reality so convincing that spiritual beings could even become materialists, and actually believe nonsense like "you only go around once in life!" That is the purpose, apparently, of a physical existence. It provides such an incredibly sophisticated gameboard that it excludes all other realities, and provides an opportunity for an immortal being to become finite and vulnerable. It provides an opportunity to "test" yourself in an infinite variety of situations, for there are an infinite number of ways to program a physical universe. That is the power of information systems! My guidance tells me that there are literally trillions of different universes out there, each as real as the one we live in. Such a complex spherical hologram could also record every single impression by every single physical being that existed within it. It could contain emotions, feelings, thoughts, and trillions of other perceptics (Akashic Records). The more sophisticated a hologram is, the more real and solid it becomes. If you imagine the universe as a gigantic 3 dimensional hologram, you can imagine how real it could be if you immersed yourself directly inside it, which is precisely what we do when we incarnate into our physical bodies. The physical body is the computer that interprets the vibrational content of the universe, and displays it for us to interact with. In other words, our receptor cells are programmed to recognize a certain (very small) bandwidth of vibration, and make that convincingly real to us. The only thing we have to remember is that we, as spiritual beings, are the programmers. This is easy to forget in a physical incarnation that is so convincing. (This is what is meant when people say "the universe is illusion." What they mean is that we only see an interpreted, and infinitesimal slice, of the universal bandwidth of vibration. Of course what we experience is not illusion at all; but it IS illusory to say that what we can observe with the five human senses, and what we can infer from scientific instruments, is the only reality). Here's the point: all physical systems are information systems and have programming that determines how the physical processes work, and the form of the component objects. The earth is an information system, your life is also an information system. And the programming for these systems is alterable! Obviously, a program is no good if it just does the same thing over and over. Who wants to go back to DOS 6.0? And a program is also no good if the program itself is not accessible. Where does the programming for these information systems exist? I'm told that it exists OUTSIDE the perception of the five human senses, just like the programming for the computer exists outside the perception of the computer user, in an electronic, vibrational matrix inside the computer's central processing unit. All the user knows is the he or she turns the thing on, and it works. This programming is beyond the level of physical matter and is accessible by a spiritual being, even while incarnated in a physical body. This is what people like Esther Hicks have been trying to say for decades. Discovery always originates at the level of thought, and is translated to the physical. The programming level for physical information systems exists in the subtle realm of thought. We see this in everyday life. You make a decision to change your life, you act in different ways, you get different manifestations. But it's much more powerful that that! A strong enough and coherent enough thought form, or thought template, can actually alter physical structure. If you understand that physical reality is malleable and is essentially information, this makes sense. But if you are a materialist, you think that reality is described only in the objects you see and feel. But that is a primitive and childish viewpoint. When you want to build a house you first design a blueprint. That blueprint is the information system that describes the physical house. Alteration of the blueprint results in alteration of the physical description of the house. Here we get back to the Holographic Principle again. The 2 dimensional blueprint controls the 3 dimensional structure called "house." In other words, you could say quite accurately that the true reality of your house lies not in the physical building materials of foundation, walls, and roof, but in the blueprint itself. When you need to make changes to your house, you have to consult the blueprint first! Humanity has control over its information systems. These information systems exist outside the realm of the five physical senses, and create the physical blueprints for our interpreted reality. The double helix of DNA, for example, is just the physical representation of something vastly more complex and beautiful. The "activation" of DNA is the perception of these etheric blueprints, and the reprogramming of them through conscious intent, which results in healing (and new abilities that we didn't even know we have). The universe and everything in it is, essentially, programmable, vibrational information. When humanity really begins to understand this idea, we will be able to change our lives, and the face of our planet, very rapidly. We already understand information systems very well, so why does humanity continue to fight each other and pollute the planet? Why does 90% of human savings go to finance war and polluting fossil fuels, when we are already sitting on clean energy technology? Well, people like David Icke (see the link to an excellent interview with Icke below) claims that extraterrestrials have modified the vibrational structure around planet earth, to keep humanity within a lower vibrational range so that they can feed off our energy of anger, fear, and other lower emotions. This has always made some kind of sense to me, because I have never been able to figure out why our species has never been able to come together. In my participation in and observance of groups, I have noticed that when human beings organize into groups, there is some kind of psychic trigger that says, "contention." Where does this impulse come from? Well, if there are "evil ETs" or "evil controllers" on the planet earth, they must be the physical representation of the information systems that humanity has constructed. Physical manifestation of anything CANNOT occur unless there is agreement and intent for it to occur. Therefore, anything unwanted on planet earth is being created in an information system. And to uncreate it, you do not fight it! You simply reprogram it! You change the content of the vibrational information system, and viola! Like a computer that has been reprogrammed, you get a new program that does new things. Look at the universe like a gigantic computer. The mnemonic instructions that make the computer go are just electronic impulses that are programmed into it, just like the elements of the Periodic Table that make up the universe are units of vibrational information. For the computer, this set of instructions is called an Operating System, or OS. Each computer has an OS, which provides a platform that allows computer programmers to write the programs like Word and Photoshop that we use to get work done. Now here is the exciting part. We can reprogram the Operating System that runs the computer. The operating system controls what types of programs you can run. If you try to run Adobe CS5 with the 3D enhanced Photoshop on a computer running the DOS 6.0, Operating System, nothing will happen. If you try to run the program "clean, free energy" on a human operating system that cannot understand it, you will get nothing but inefficient and scarce energy, and pollution. What the human race is engaged in right now is, literally, the reprogramming of humanity's operating system. That will allow us to move from the program Fossil Fuels 2436.6 to Clean Energy 1.0, and from War 4354262534.9 to Cooperation 1.0! And we are doing it by changing our thoughts and belief systems from the old OS to a new OS. Once we get a new OS, we can start writing new and better programs that will lift the earth, and humanity, from it's present stressed-out and confused state. Solid reality is actually vibrational information. YOU CHANGE REALITY BY CHANGING THE INFORMATION SYSTEM. And that information system changes when you choose differently. That is something human beings are discovering. To rid yourself of unwanted things, you simply reprogram the hologram within which you live. And you do that vibrationally, by deciding differently. By consciously creating a vision of exactly what you want for yourself and the world. That's the message this month, and I hope that it inspires you to get beyond the idea that reality is solid and hard to change. This point of view can only be maintained if you do not understand your spiritual nature, and use only the five physical senses to validate your experiences. The real action is always, and has always been, and will always be, at the level of consciousness, and thought, and intent, for this is the level on which the information systems that create the physical world reside. Posted in Uncategorized on July 2, 2010 by kjmaclean. This is a very fascinating article..thanks a lot.. I really enjoy reading this article.. thanks for the information. I just landed accidentally on your blog and realized that we have the same vision. But my conceptual position is to formulate a new theoretical fundamentals of explaining the concept of digital physics from the view of cybernetics in frame of three kinds of control. Perceptually controlled systems – living systems, none perceptually controlled systems – physical systems, nor perceptual systems – subatomic systems. Of course it should explain also that all these three kinds of systems exist in cybernetic interdependence and their physical and chemical interactions can be easily described in realm of communication and computational processes. The explanatory power of new theory should reach from brane (string and M theory) to brain (biology). Did you ever co-authored books? I have been working on AI for twenty years. In this AI, amongst other things, is theory including the excellent work Michael Talbot in The Holographic Universe. This article is RIGHT ON THE MONEY ! awesome! i really do not spek english fluently, but when i was reading this article languages seem to deseappear. Great content real concret, not in sense of density but in sense of concret vibrations. This is what Tom Campbell has been talking about. It's life changing knowledge. Bruce Lipton is also on the same page but from a biologists point of view (using different metaphors). They both have youtube channels with Tom having over 200 presentations and a trilogy book called My Big TOE. Have you heard of them? I've read Lipton but haven't heard of Tom. Thanks for the info! Loved that artical - thanks heaps. I've just written a similar book about vibrational energy. kinda plain. You should glance at Yahoo's front page and watch how they create post titles to get viewers interested. Excellent read, Positive site, where did u come up with the information on this posting? I have read a few of the articles on your website now, and I really like your style. Thanks a million and please keep up the effective work. Thanks for the The Physical Universe is an Information System | The Big entry, kjmaclean.com webmaster! For more information on latin word for humor refer to Enrique(%URL%) website and derive more information benefit. Very nice post. I just stumbled upon your blog and wanted to say that I've truly enjoyed surfing around your blog posts. In any case I will be subscribing to your feed and I hope you write again soon!